We go through everyday life doing some of the things we love to do the most. Sure, everyone is different in many ways, but we are all common in ways too. We all have a passion for doing something that we enjoy. Some may play sports, some love to follow literature, and some may love to deal with nature. Although, you can’t forget about those who love art. That’s right; art is something that tons of people follow when they can. There have been many artists in past generations that have impacted the world. Both kids and adults love to draw, doodle, color; you name it! This is an activity that many people take up, and I have the perfect item that can make it even better. So check out all of the information I have for you below. People often look for different ways that will help them make their creations look amazing. You may need something that can give you options when the time comes. There are tons of products out there that could help you. 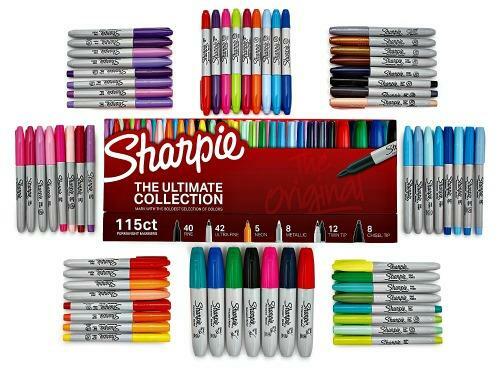 Although, what you need is the Sharpie Permanent Markers Ultimate Collection! This would be a wonderful gift for someone you know that loves to be artistic. So go ahead and check out all of the information I have for you above.